Insight into how influenza affects genders differently. Influenza, better known as “the flu,” is a seasonal epidemic that affects millions of people every year. Symptoms include headache, cough, sore throat, fever, chills and fatigue which appear soon after the carrier becomes infectious. How we experience these symptoms, though, varies widely from person to person, including by age and gender. In 2011, the London School of Hygiene and Tropical Medicine conducted a UK-wide survey on how those infected with the flu felt their symptoms. On a scale of 10, respondents were asked to gauge their discomfort. The survey found that women were 16% more likely to mention flu-like symptoms, suggesting women may be more aware of their physical health than men, who are more likely to ignore their symptoms. This can be in part due to an evolutionary factor. Having children under 18 is one of the greatest risk factors for contracting influenza, which put women of the past on the front lines of flu. An earlier study at Cambridge University may have found a relation between evolutionary changes, hormonal differences and our ability to endure an affliction. First, there is no difference in immunity between men and women, although there can be a difference in the ability to fight infection. In several species of animals, this difference is also observed, giving some merit to the idea of a ‘“man flu.” High testosterone levels, some say, can lead to an increase in infection, though symptoms could also be the result of a reaction to stress. Regardless of gender, influenza can affect anyone. 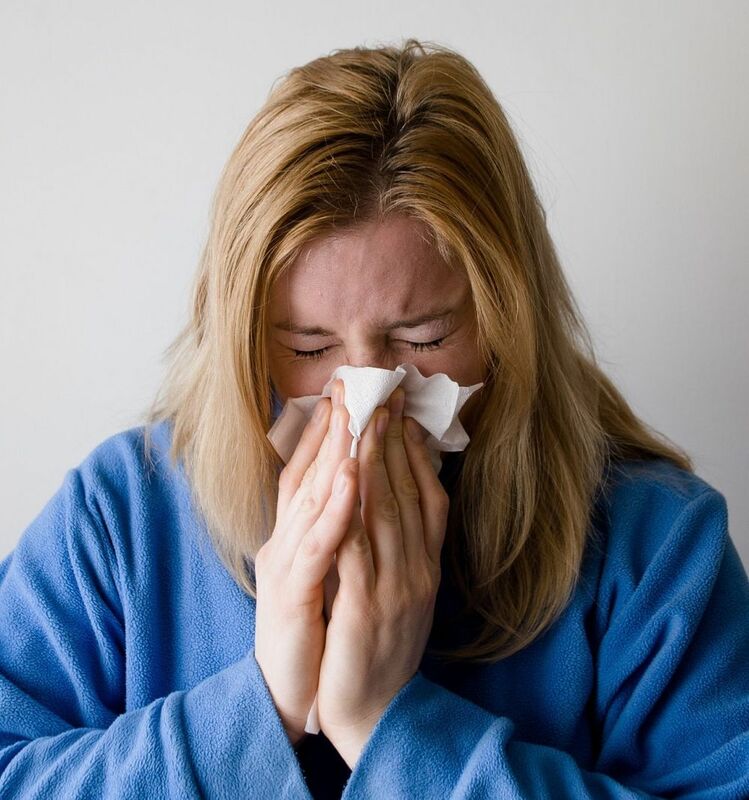 Seasonal flu is common throughout the months of October to March, with reasons as varied as the lack of vitamin D received from the sun due to increased indoors time to the virus lingering on doorknobs and counter tops because of the colder temperature. Receiving a vaccine is one of the most effective ways to reduce the chance of contracting influenza, especially for at-risk individuals such as asthmatics, diabetics and pregnant women. As new strains are constantly evolving, so does the vaccine. Other ways to prevent becoming infected with and spreading the flu: Cover your mouth and nose with your hand or a tissue when sneezing; avoid touching your mouth, eyes and nose or coming into contact with infected persons; and wash your hands with soap and water.